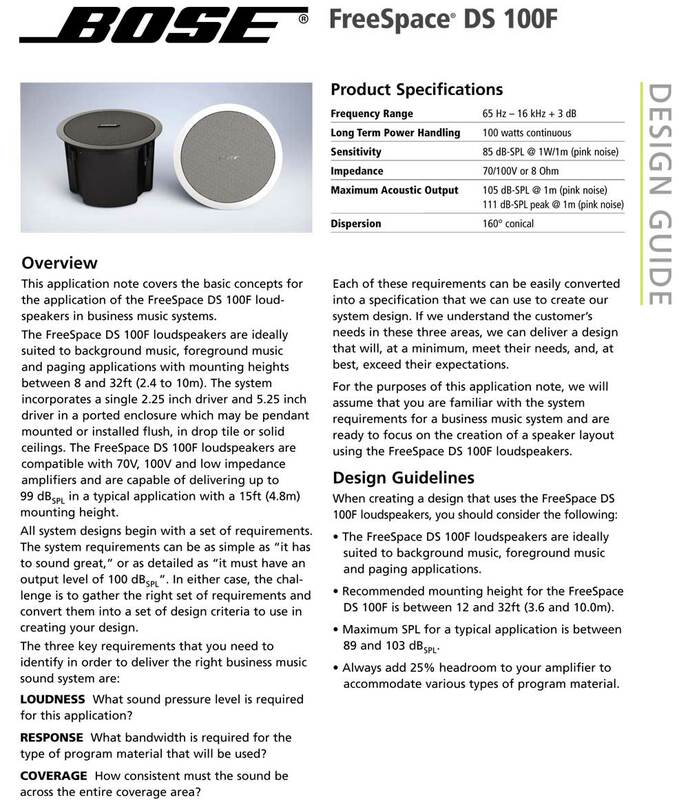 Premier high-performance, extended-range, flush-mount loudspeaker designed for foreground music and speech reproduction in a wide range of installed applications. 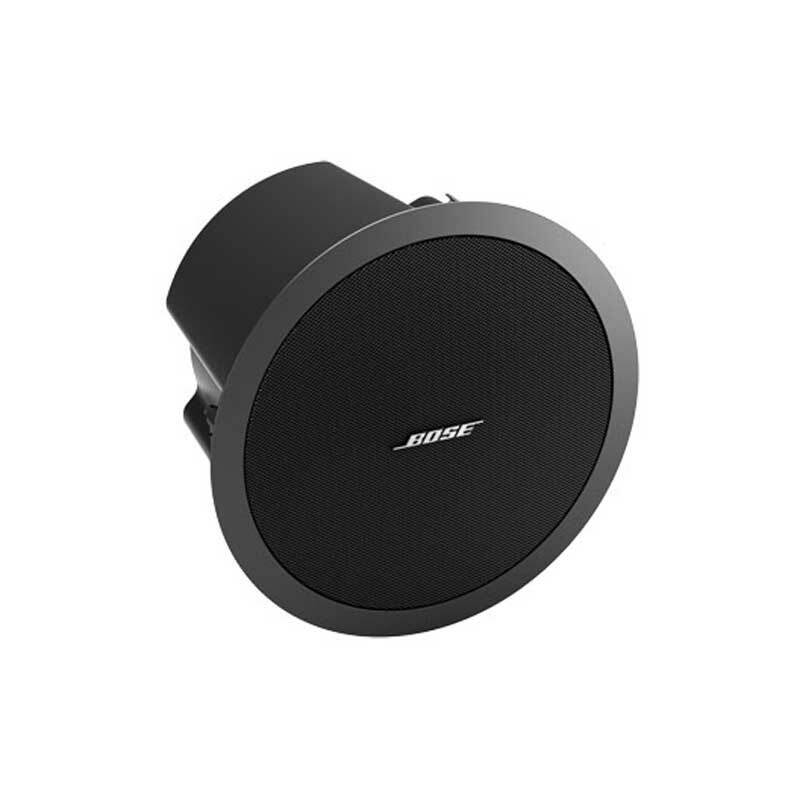 High output and wide, 160° conical pattern with a frequency range down to 60 Hz. 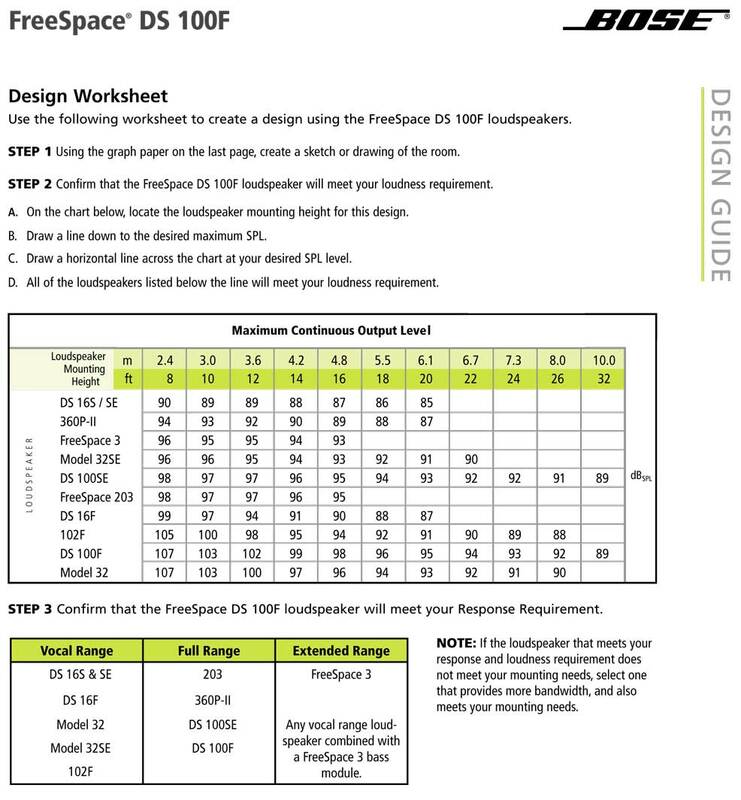 EN 54-24 compliant DS loudspeaker models are also available for use in Voice Alarm (VA) systems. 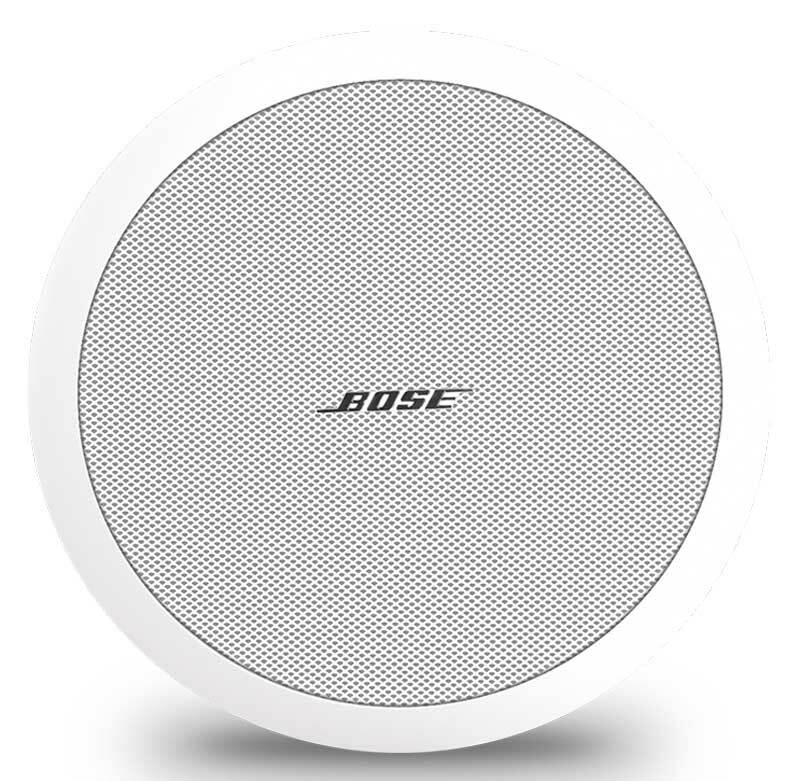 Please contact your local Bose team for availability information.